Find the divorce information and help not contained in the other sections of WomansDivorce.com. Find related divorce books, chat with other women in your situation, and take our survey. About WomansDivorce.com - Find out more about the background, vision, and purpose of this site. The Divorce Forum gives you a place to interact with others that are facing similar circumstances. Divorce Newsletter - Sign up for the "Divorce Survival Newsletter" and receive relevant divorce information right in your email box. You'll get regular articles and tips about different topics on divorce, inspiration for starting over, plus weekly updates highlighting new articles to the site and the latest questions on divorce answered by our experts. Contact Us if you to need to provide feedback or ask questions. Divorce Blog - Get the latest divorce news and updates at a glance by reading our divorce blog. Divorce Survey allows you to provide input to help us continue to serve your needs. 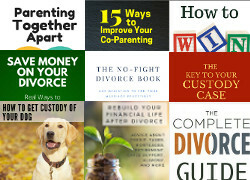 Divorce Books - Here are the divorce books we have personally reviewed to insure you'll get the best books to help you deal with the specific issues that you may be facing. Quotes On Divorce - These quotes about divorce look at the lighter side of a hard situation, giving you a reason to smile just a little bit. You'll find funny quotes as well as words of encouragement to help you can some perspective on your situation. Ask an Expert allows you the chance to read over our previous answers and ask questions that haven't been addressed. Search - If you can't locate exactly what you're looking for, you can use the search page to access the articles and answers you need. Divorce Magazine - Get the latest issue of the bi-annual magazine focusing solely on divorce. 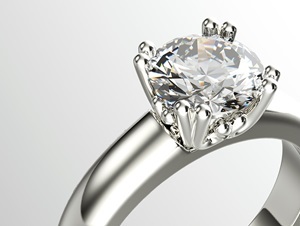 Divorce Store offers products and services that are beneficial during and after your divorce. Announcements - Find out if there are any upcoming events, seminars, and teleseminars about divorce, and more. 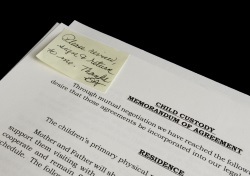 Related Divorce Links provides links to other sites that have relevant divorce information. You'll find resources for other countries, sites to help with rebuilding your life, information on paternity and child support, and more. Recommend WomansDivorce.com to someone who can benefit from the articles and helpful resources on this site. Get Listed In Our Directory - If you offer divorce-related services or products, find out how you can be included in our state specific divorce directory. RSS Feed - Subscribe to our RSS feed and be notified of all the latest updates and when new articles have been added. Advertising Disclosure - The compensation this site receives in the form of advertising, sponsorship, and affiliate advertising does not influence the content of the site. Terms Of Service - these terms of service govern your usage of this website. Webmasters can find out how this site was built and hosted. Divorce Inspiration Widget - Get daily inspirational quotes and the latest updates from WomansDivorce.com with this desktop widget.